There are two main things to contemplate with Foie Gras. 1) No doubt about it, Foie Gras is cruel. I’ve read both sides of the argument, of course. The geese willingly come forward for feeding. But then, they are not noted for their intellect and desire to demonstrate for emancipation. They’re geese. It’s their food, it almost certainly tastes nice to them, and it’s the only thing they have ever known. Getting fat on rich food to the point of immovability, sickness and likely early death is - after all- the preferred freely-chosen lifestyle of vast swathes of the population of America, so it’s hardly surprising that the geese tolerate it. They live in the open air, in relative – for poultry – luxury, and almost certainly have a significantly better life than battery-farmed chickens. They are slaughtered humanely, and great use is made of all the resources, from feathers to fat to meat, all of it of high quality and delicious (although not literally in the case of the feathers). But despite all this, force-feeding is still force-feeding, and it is definitely more cruel than going away for the weekend and leaving a Susan Boyle record playing on a loop to annoy your neighbours. No wonder that a great many places have banned it (ironically quite a few of them in America). 2) Foie Gras is delicious. Grade A, Level 1 indulgent, bad-for-you and regrettable, but delicious. I try not to eat it. I try, but I don’t succeed. I can’t remember that last time I actually bought any in a shop – the guilt would get the better of me. But in a restaurant, or at a buffet, if foie gras is there, it’s a certainty that I’ll be tempted. Earlier this year I had the opportunity to try whale meat. From non-endangered animals, legally and sustainably hunted by people (Inuit) who had been doing so for centuries. I am a naturally curious person food-wise, so (after checking the above) I had to have a go. The problem with whale meat is that it is unbelievably delicious. Not remotely fishy (well, it isn’t a fish, but its diet is) and with a gamey texture and flavour. No wonder it’s a delicacy and that the Norwegians and Japanese – despite nowadays having lots of other alternatives (which the Inuit of Greenland do not) – continue to hunt it in the face of global protests, angering their neighbours and trading partners, and under the guise of ‘scientific research’ or some such nonsense that everyone knows is rubbish. That’s how good it tastes. But it’s no excuse, and I wouldn’t eat it unless I was convinced that whatever had died for me to do so was not contributing to a worsening environmental problem. I believe that turtle is similarly delicious, and that this is why we, mankind, have hunted them to the point of extinction. But foie gras is not causing the geese population to become endangered. Just dangerously, cruelly and uncomfortably fat. 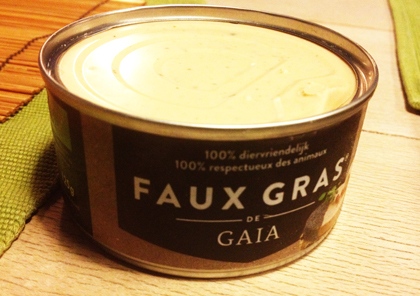 So it was with barely containable curiosity that, at dinner at a friend’s house this week, I was introduced to Faux Gras. Now, I’m not normally a fan of things somehow disguised to resemble other, more desirable (or less forgivable), things. You cannot, for example, get ‘bacon’ from a fecking turkey. You just cannot. But Faux Gras is really lovely! It’s a little bit more anaemic (in every way) than Foie Gras, but otherwise has replicated the texture, richness and – incredibly - the flavour, and entirely from normal(ish), vegetarian and largely organic ingredients. 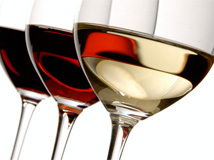 It’s based on a yeast culture with palm oil, potato starch, tomato puree, white wine, sunflower oil, sea-salt, spices, smoked salt, truffle and ‘champagne’. As palm oil is the second listed ingredient, it can’t be healthy for you, although it still has the edge on goose-fat I’m sure. I shall definitely be getting some for myself. And my responsibility for the suffering of geese will diminish in consequence.